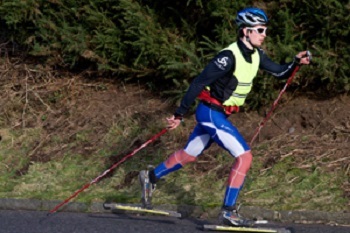 Callum Smith, a 3rd Chemical Engineering student from Inverurie, Aberdeenshire, has been selected to represent Team GB at the Sochi Winter Olympic Games where he hopes to compete in the 30km skiathlon, skate sprint and classic 15km time trial cross country events. His selection validates his decision to take a year out from his studies in order to concentrate on full-time training for the Games. The University has supported Callum through the Individual Performance Programme, which supports student athletes who are committed to succeeding at the highest level. Callum, who was based at a pre-Games training camp in Northern Italy, said he was delighted to have been selected, although waiting to hear if he had been called up had been nerve wracking. "My sporting life began well before starting my course at Edinburgh but combining an engineering degree and a full time training regime has certainly taught me some time management skills." The Winter Olympics take place in Sochi, Russia, from 7-23 February. Callum will travel with the 50-strong British team.